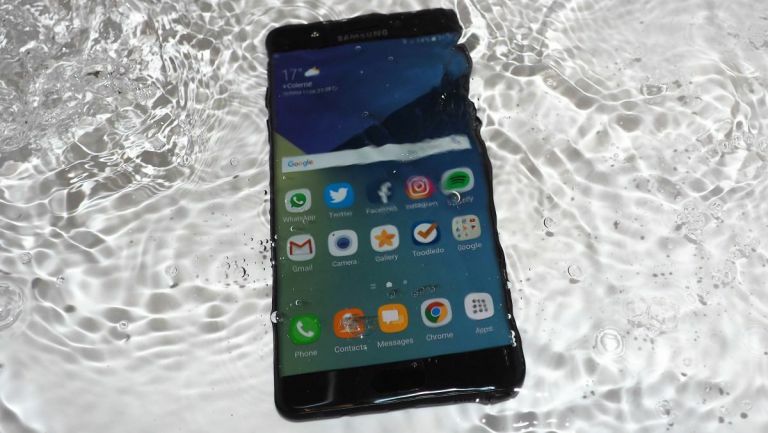 Samsung has revealed the results of the company's internal investigation into last year's Galaxy Note 7 fiasco that, due to numerous cases of the device catching fire or exploding, led to the smartphone been completely recalled off the market. Now, months after the recall was completed, Samsung has concluded and published the results of an internal investigation into the Note 7, revealing exactly why the Android phablet was so unstable. Samsung says that two separate battery flaws were responsible for the Note 7 catching fire, rather than any error with the phone itself, with a design flaw in the upper right corner of the original battery leading to a short circuit, and a welding defect on the replacement battery leading directly to overheating. In addition, Samsung confirmed that certain units of the second, replacement battery were missing insulation tape. The investigation was conducted with 700 Samsung staff testing 200,000 phones and 30,000 extra batteries. Further, Samsung hired three separate firms - UL, Exponent and TUV Rheinland - to also test the devices, who each found similar results. Overall then a pretty sad end to what, on review, we thought was a darn good smartphone phablet. From what we can see, however, Samsung has gone about investigating its mistakes in a thorough manner and hopefully no future device will have its shelf life cut short in a similar fashion.